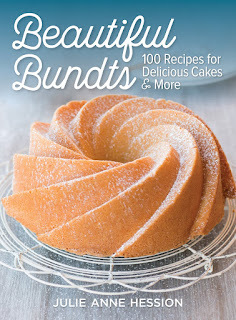 Several years ago, Southern Living magazine did a feature on Bundt cakes. I was intrigued and purchased my first Bundt cake pan. Over the years, I have basically used the pan for baking prepackaged cake mixes or when baking Monkey Bread. Like millions of others, I wasn't really sure how to use a Bundt pan. 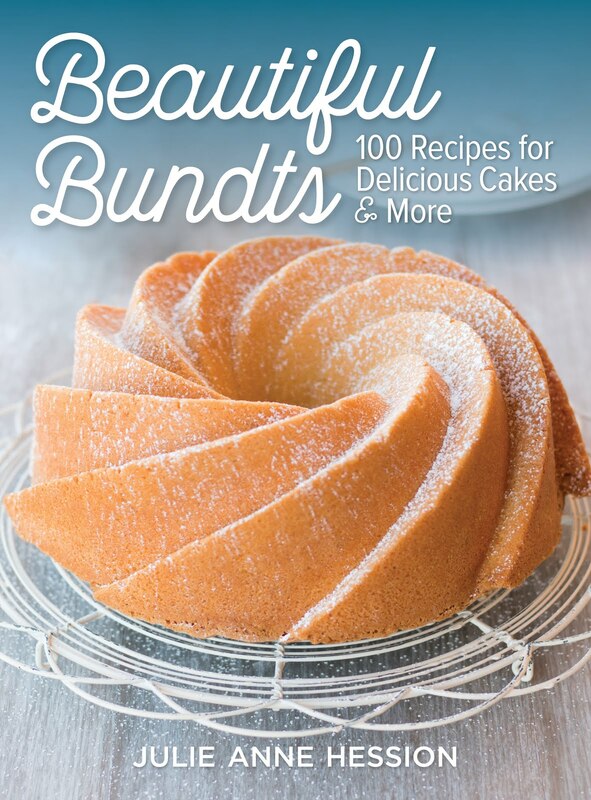 I was pleased to receive Beautiful Bundts: 100 Recipes for Delicious Cakes & More by Julie Anne Hession. The new recipe book features 100+ recipes, pictures, diagrams and charts! Julie Anne also includes many tips and suggestions for each recipe. Julie Anne is a self-taught cook and baker! She has combined her love for food with her for writing to become a successful chef, recipe developer, competitive cook and blogger. but my favorite so far is the Spiced Apple Hazelnut Monkey Bread . 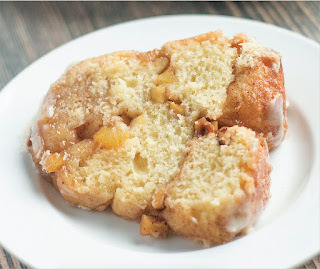 Monkey bread is a sweet, sticky Bundt composed of dozens of dough balls, meant to be pulled from the loaf and enjoyed one at a time. The balls are rolled in sweet or savory ingredients before being pieced together, and other components — in this case, spiced apples and toasted hazelnuts — are sprinkled between the layers of dough before baking. It is officially impossible to eat only one piece of this treat, which is best served warm, while the dough is still soft. 1. Dough: In a small bowl, stir together yeast, 1 tsp (5 mL) sugar and water. Let stand for 5 to 10 minutes or until foamy. 2. In the stand mixer bowl with paddle attachment, beat 1⁄3 cup (75 mL) sugar, egg, egg yolks, milk and butter on medium-low speed until blended. Beat in yeast mixture. On low speed, beat in flour and salt until a soft dough forms. 3. Replace paddle with dough hook. Knead on medium speed for 5 to 7 minutes or until dough is smooth, soft and elastic (see tip). 4. Gather dough into a ball and transfer to prepared bowl, turning to coat. Cover with plastic wrap and let rise in a warm, draft-free place for 11⁄2 to 2 hours or until doubled in bulk. 5. Turn dough out onto a lightly floured work surface and dust with flour, punching down to deflate. Using a rolling pin, roll dough out into an 8- by 6-inch (20 by 15 cm) rectangle. Using a sharp knife, cut rectangle crosswise into eight equal slices, each about 1 inch (2.5 cm) wide. Cut each slice into six 1-inch (2.5 cm) pieces, so that you have 48 pieces.